One YouTube commenter described Drugslab as “a kids’ show that tells you how to take cocaine”, which is actually a pretty accurate description of the show. It’s shot in a set decked out to resemble a school science lab, the hosts – Nellie Benner, 30, Rens Polman, 25, and Bastiaan Rosman, 23 – engage in playful banter throughout the program, and the whole thing has a relaxed and educational vibe. 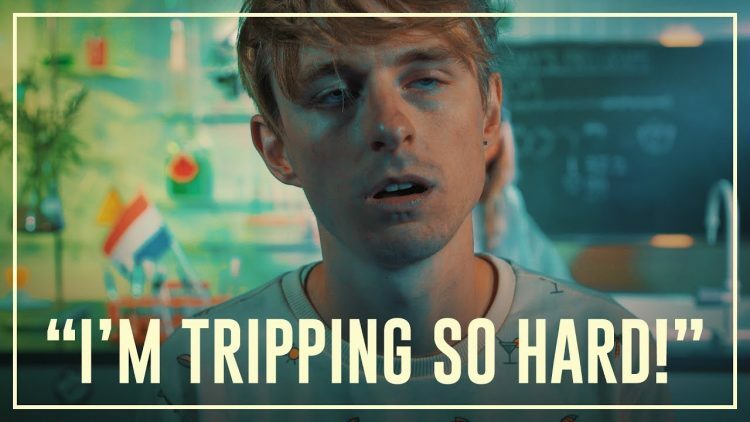 According to the Daily Mail, the drugs used on Drugslab are bought from drug dealers, with a $65,000 grant from the Dutch ministry of education, and are tested by Holland’s Drugs Information Monitoring System. Producers insist that they take all necessary precautions to avoid any medical problems, but a first-aid specialist is always present on set during filming. Drugslab launched on September 8th, 2016, and quickly became insanely popular, both in the Netherlands and abroad. The controversial channel has over 500,000 subscribers, and most of the uploaded videos have hundreds of thousands of views. Dutch audience accounts for a quarter of views, with the US, UK, Russia and Germany accounting for another third. Videos also feature English translations for international audiences. YouTube itself has been accused of promoting drug use by hosting a channel like Drugslab, but the Mountain View-based internet giant has declared itself ‘proud to be a place that people can visit to find information on a range of subjects’, adding that Drugslab has clear “educational value”.